It’s a pleasure to have with me today the author of one of my more recent reads, a novel called Death at Willow Creek Mine. His name is J. D. Savid, and he’s joining us all the way from Land of the Midnight Sun, the 49th state of the union, Alaska. How have you been, J. D.? Thanks for taking the time to talk with me today. JDS: Hello Jonathan, Thanks for inviting me to your site. I am getting my ship Radiance II (34 ft. sloop) ready for another long voyage –back to Monterey Bay where I began my voyages Nov. 2008. Q1) Since this is the first question, we’ll start out with the basics. Why don’t you tell us a little bit about yourself? JDS: I have sailed Radiance II nearly 20,000 nautical miles. I arrived in Kodiak last August after being at sea for 66 days. I like it here and decided to get this little book (novella) published. The winter was long, dark and cold. It was perfect for sitting close to the heater on the boat and working on the book. 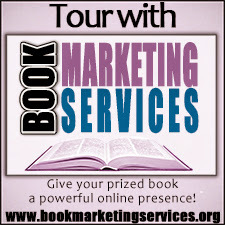 Q2) And how about your book? I know about it (since I read it and all), but it wouldn’t hurt to fill in the folks at home. JDS: Three young brothers go to live with their aunt after both parents have died. The aunt has claim to an old historic gold mine in the far northwest corner of Nevada and five deeded acres with a rickety house and out buildings. The brothers decide to open the old mine, after their aunt passes away. There is gossip in the a nearby community of Rabbit Brush that the brothers practically killed their aunt to get the gold mine. Working the mine is keeps the boys together; that is, until tragedy strikes. Q3) The foreword to your book indicated that you too own a family goldmine. Can you elaborate a little more about your experience with gold mining? JDS: Yes. My adopted father owned a gold mine, and many years later, I inherited the old mine. Photos on the front cover of the book were taken underground in the family mine. Q4) Very cool. So is the family goldmine in the southwest, as it is in the book, or in Alaska, where you are now? JDS: I’m in Alaska by necessity. I sailed into Kodiak last August with damaged sails. My intended destination was Monterey Bay Calif. 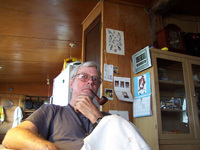 I had been at sea 66 days when I arrived in Kodiak, very cold and tired. I had left the Marshall Islands June 1st. Q5) Now that’s fodder for a good story if I ever heard it. 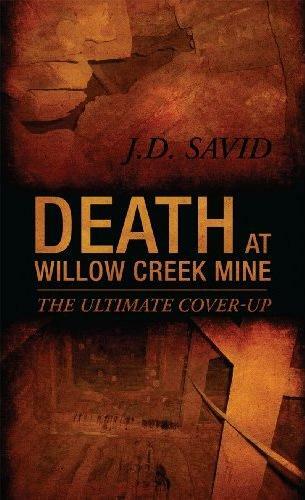 Speaking of that, what/who inspired you to write Death at Willow Creek Mine? JDS: Originally, this was a short story, titled “A Wonderful Cook.” It was typed on my trusty Olympia portable. I let it alone for a number of years. After I began to modernize from manual type to word processor, I decided to put the story on a floppy. It was during this process that my characters became very real to me. It sounds ludicrous, but they took over the direction of the story. I was weeping as I was typing the ending. Q6) Did any other authors influence you? If I had to guess, I’d say there was a hefty dose of Steinbeck in there, but again, that’s just a guess. JDS: My literary heroes are Hemingway, Steinbeck, Twain, Victor Hugo Dickens and many other writers that were masters at developing believable characters. Q7) Your novel was self-published through Outskirts Press, correct? 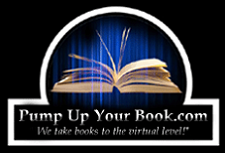 Why did you decide to go the self-publishing route rather than traditional publishing? JDS: I have another book that has been rejected many times (14). I did not want to go through that with this little book. Q8) Ouch. Yeah, I completely understand where you’re coming front. As for the book, there are several conflicts at the center of your novel—brother versus brother, devout versus secular, private ownership versus government regulation. Given all of this, what was the central message you were trying to get across to your readers—if any? JDS: The message is (if any) is “conflict.” From the beginning of the simplest forms of life there has been conflict. To my mind, it plays major part in Natural Selection. Q9) Do you have any other works forthcoming? Anything else that we should be looking forward to? JDS: Yes, as I mentioned, I have another book, which I am now revising. It is a memoir. My mother was murdered Jan. 1955. A sensational murder trial followed. The title : It’s Easier to Say Goodbye. Q10) It sounds as if you’ve done a lot of living in your lifetime—not all of it pleasant, I’m sure. Finally, what motivates you to do this whole writer thing? It can be a rough gig at times, so what keeps you writing? JDS: I have been told, more than once, that I am a “Story Teller.” I am blessed with an uncanny memory of events in my life, as far back as being in a crib, Sounds crazy, but I can even remember colors at that early age. Well, that’ll pretty much wrap it up. Thank you so much, J.D., for taking the time to talk shop and visit my homely little blog. JDS: Thank you for the interview, Jonathan. If you would like to learn more about J.D. Savid or his work, you can visit him at LinkedIn. You can also find his work at Outskirts Press and Amazon.